Outside of combat, it is not all that often when a Soldier in a unit dies. The exceptions are unfortunate, but demand that the unit properly and respectfully honor that Soldier. The options for the unit are essentially two: a Memorial Service or a Memorial Ceremony. The difference in the two are basically that a Memorial Service is religious in nature, while a Memorial Ceremony is patriotic in nature. 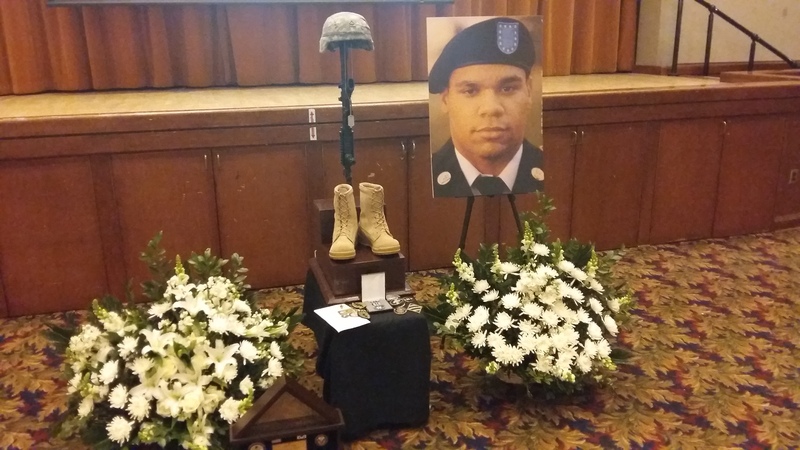 A Memorial Service, being a religious service, cannot be required attendance for Soldiers, but since a Memorial Ceremony is basically patriotic (though with religious elements) the Soldiers of the unit can be required to attend, though in most circumstances the majority of the unit will want to be a part of the ceremony honoring their fallen comrade even when not required. 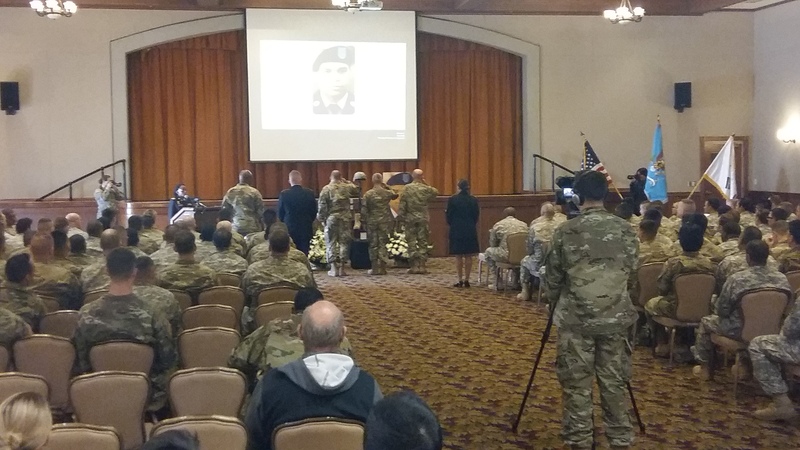 This week, a battalion in my brigade had the opportunity to honor a Soldier who was involved in an automobile accident. This Soldier was proficient and well-liked, so his loss was deeply felt by the unit, especially those in the deceased Soldier’s section. 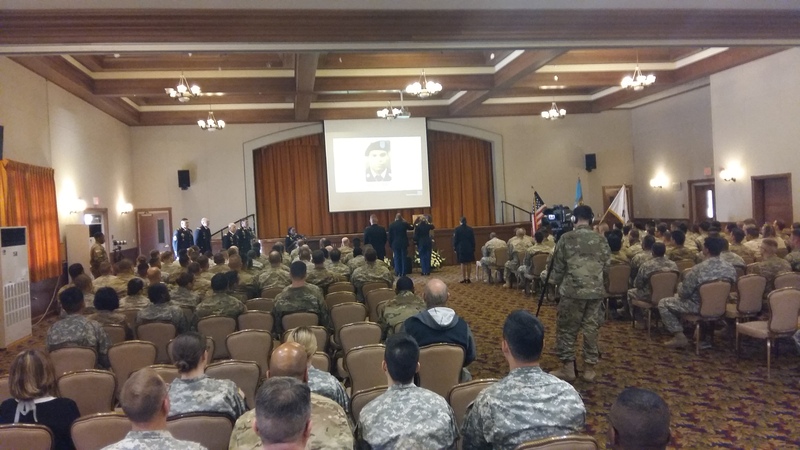 The Memorial Ceremony was an opportunity not only to honor the Soldier who died but also to give an opportunity for the unit to grieve together and begin to heal from their loss. Prior to the ceremony, the participants have several rehearsals to ensure a near-flawless ceremony. At the podium is the battalion chaplain. The Memorial Stand is set with a rifle, helmet, boots and dog tags. The Soldiers’ final award and photo are also on display. 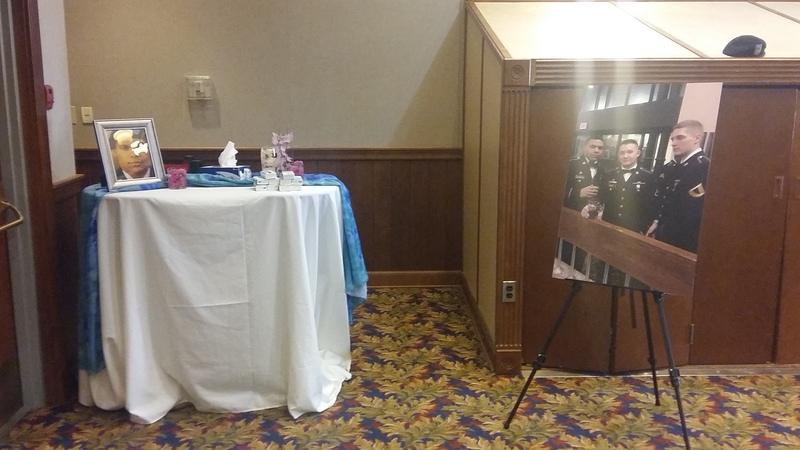 A small display was set up at the rear of the auditorium. 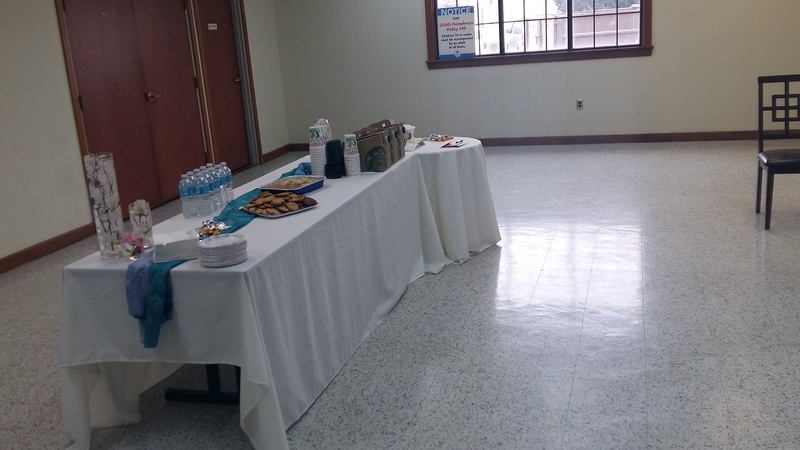 The FRG provided a hospitality room for the father and close friends. There was a good turnout from the unit as well as from sister units. There was also great support by chaplains and chaplain assistants from this post and others. At the podium in this picture is the battalion commander, the first of several of the Soldier’s leaders and friends who eulogized the deceased Soldier. 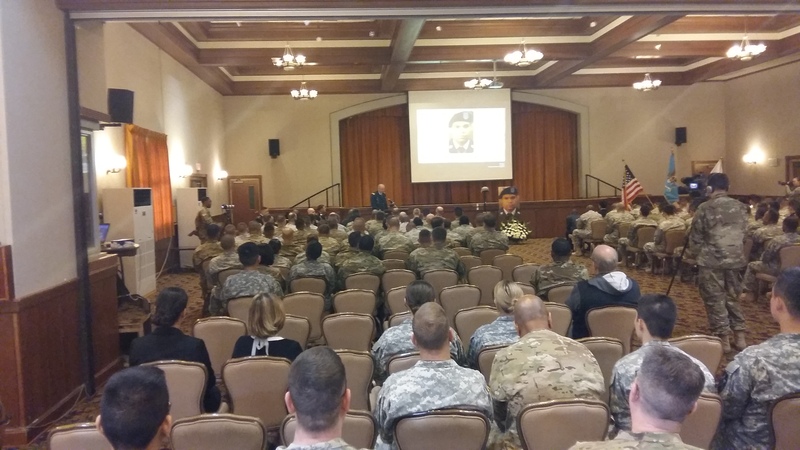 The battalion chaplain shares a message of hope. Following the “Last Roll Call,” the Honor Guard firing squad provides a 21-gun salute. Upon completion of the 21-gun salute, the bugler plays Taps, out of sight of those in the ceremony, but where he can be heard by them. This isn’t the best of videos, but it shows the honor rendered to the fallen Soldier. This bugler did an excellent job. At the end of the ceremony, participants and attendees have the opportunity to offer respects and render honors for the fallen Soldier at the Memorial Stand. Respects are paid in different ways. Most salute, some give coins, others offer a prayer. The rank of the deceased and those who honor him/her are irrelevant. Here a Command Sergeant Major, Colonel and Major General render honors to the fallen Private First Class. By the time everyone had rendered honors, there was quite a collection of coins, patches and notes that will be sent to the Soldiers next-of-kin. While Memorial Ceremonies are not usually attended by family members, sometimes they are. 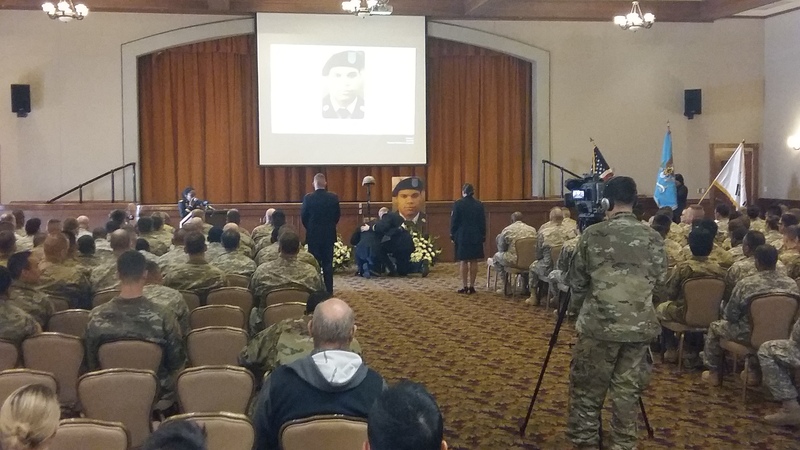 This ceremony had the Soldier’s father in attendance. 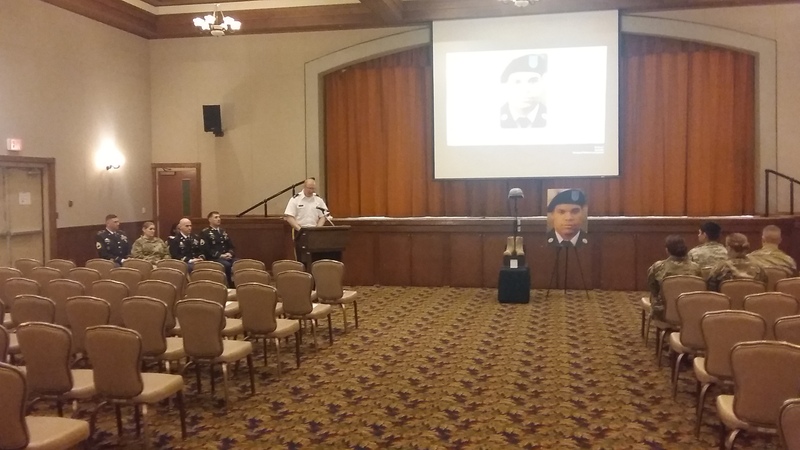 A video of the ceremony will also be sent to the other family members as a remembrance of the Soldiers honorable service and to show how the unit honored that service and the memory of the Soldier. 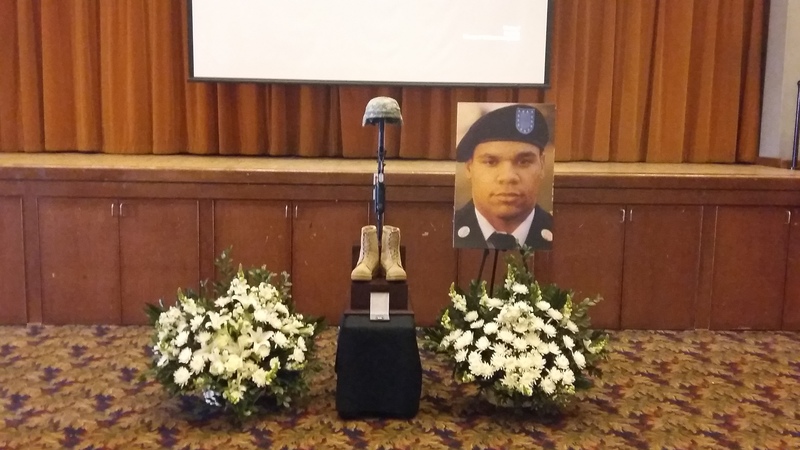 Memorial Ceremonies and Services are not only an effort to honor the fallen Soldier but also to provide an opportunity for the unit -often the Soldier’s closest friends- to remember, memorialize and honor their friend and comrade. Additionally, they give an opportunity for those Soldiers to grieve their loss and begin to heal and recover. 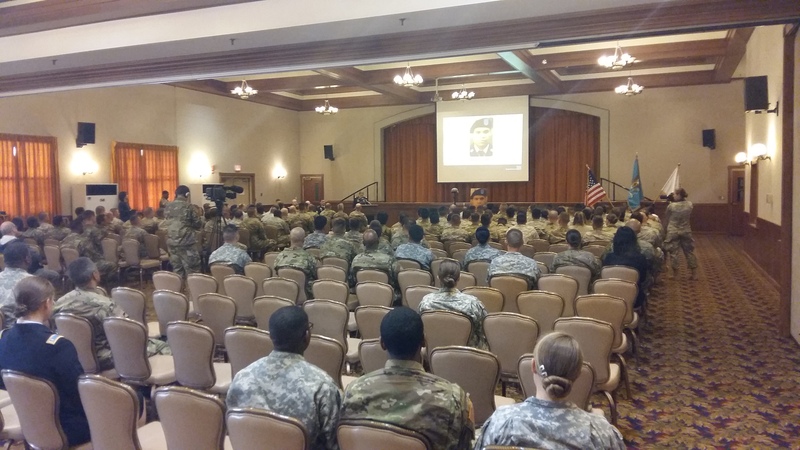 This ceremony, with the remembrances shared by the unit leadership and friends and the message by the chaplain, went a long way toward bringing this healing to the unit’s Soldiers. Steve, thanks for stopping by! I don’t have schematics, there’s always been a stand where I’ve needed one, though it seems like I recently talked to a chaplain who had one built. I’ll try to remember who that was and see if he has the plans and let you know. As for buying one, I’ve never seen these for sale commercially, though you never know. The one used at this ceremony was small, about 20″ square footprint, which I’ve never seen before. I’ve always only seen the large ones which stand on their own. At any rate, the small one worked, having a small table to set it on and seems like it would be easy to build. You just need to ensure space enough on the top level to hold the weapon (with the slot for the bayonet); space enough on the 2nd level to hold a pair of boots; and a wide enough footprint (or enough bottom weight) to keep it from tipping under the weight of the weapon. I would imagine with a couple good pictures of one, a carpenter could build one easy enough.